This TOSLINK (Female) to TOSLINK (Female) Adapter allows for two regular TOSLINK Cables to be joined together, or can be used to change the gender of one Male end of a TOSLINK Cable. Otherwise known as a TOSLINK Coupler, TOSLINK Joiner or TOSLINK Gender Changer. Am I over-thinking this? Hmm. Maybe I should take a few of these female-to-female TOSLINK to TOSLINK Adapter (TOSLINK Couplers) home – that way, I'll not only be able to extend my optical cable runs and maintain a high quality of digital audio, but I'll also be regarded by the aliens as a trend-setter and social cult of personality! You should grab some, too – just in case - and while you're waiting for the future, your TOSLINK cable runs will be joined as though they were always one cable. 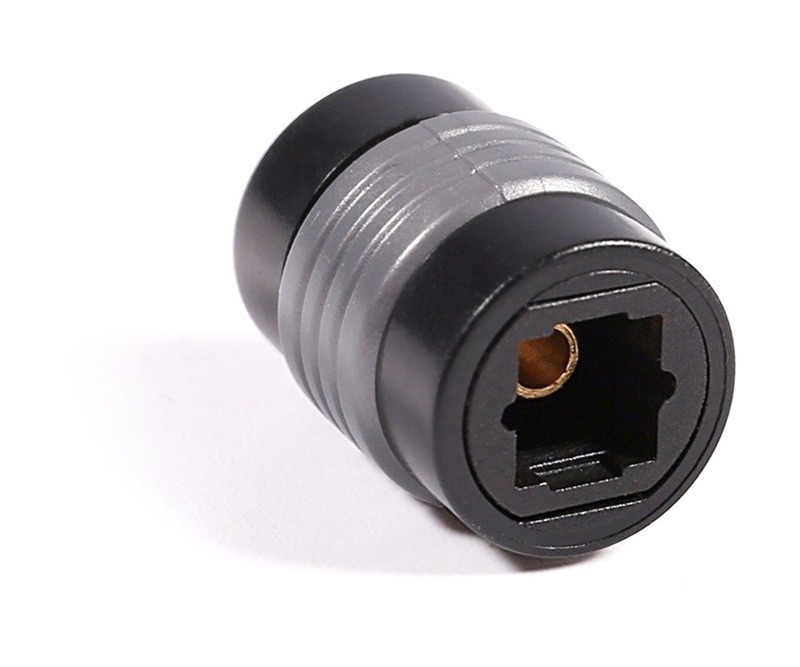 This TOSLINK coupler is a very simple but effective accessories. I've used it because I often need to switch between 2 players which are both connected to the same input at the back of my amplifier. Before, I had to extract the whole amplifier from it's lodge. Now I've permanently plugged a 1m cable in and can easily switch cables from the side of my TV. However, if you want to use this accessory be aware that it's not magic and the longest your optic cable will be, the more you will have signal loss, the more you will loose in sound quality. It is digital but you can still have some Bites lost on the way and your amplifier will have to guess what was lost. Answer: "No, Optical signals are not compatible with S-Video signals at all."